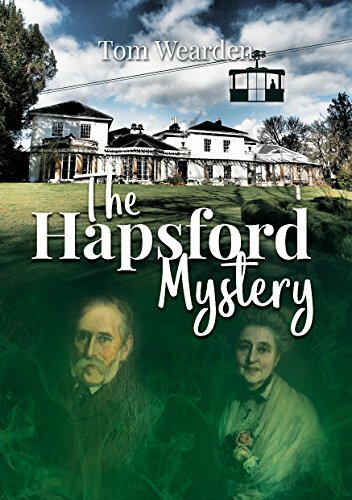 On a summer day in 1907 Lord Hapsford, Happy Harry to his friends, wealthy engineer, entrepreneur and womaniser, finds confusion at his Somerset home. A corpse closely resembling him has descended from Hapsford House to a riverside family picnic, in Harry's latest aerial gondola lift. Another body is discovered on the Hapsford Estate, where the dreaded gunnera plant is feared by many locals. Marie-Jeanette, the vicar's glamorous French wife, a collector of 'helpful men', was formerly with the Surete. She helps the police to investigate a complicated plot, linked to the disappearance of Harry's barrister friend Sir Richard Bletheringham, K.C. Egbert, son of Lord and Lady Hapsford, an Oxford Classics student, offers Latin comments and delivers remarkable information, uncovered by his scholarly research, in a surprising outcome. Stories were voiced long before being written; The Hapsford Mystery is introduced and ended by 'The Storyteller'.